Excuse the pun, but this is awesome. At Shareagift we’re consistently intrigued and amazed by the innovative and original ways people use our group funding service, but this is one we’re especially proud of. 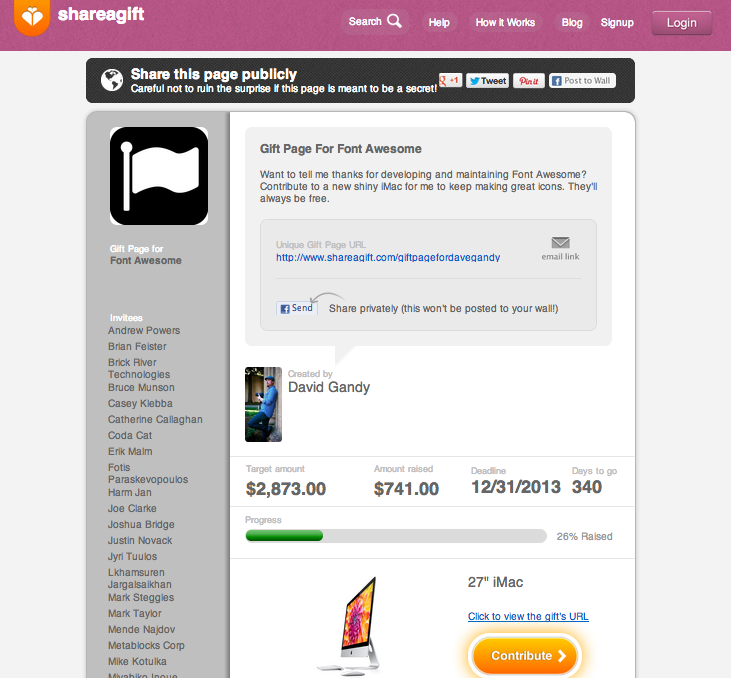 Dave Gandy, founder of Font Awesome, chose to integrate Shareagift into his own site as a way for users to thank him for this work – by contributing towards his Gift Page for a shiny new iMac. For those of you who don’t know about Font Awesome, it’s a very cool web font icon set, used and loved by designers and developers worldwide. 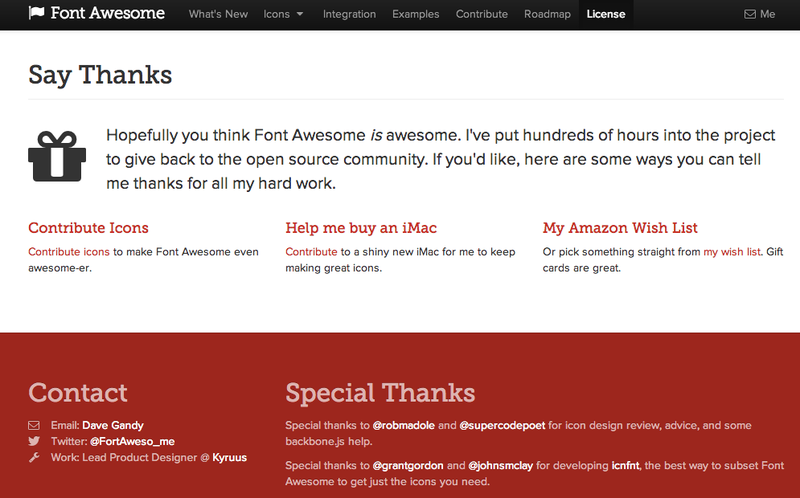 In fact, according to GitHub (a leading repository for open source projects), Font Awesome was the most popular new open source project in the WORLD for 2012. Dave created Font Awesome to be absolutely free – putting in hundreds of hours towards the project as something to give back to the open source community. And, having looked at all the group gift giving sites available, he chose Shareagift as the best mechanism to help his followers give something back to him. Check out the Contribute section on Dave’s site to see how he’s using Shareagift – and check out his project in general, as it is really cool and we’d like to help spread the word about it.